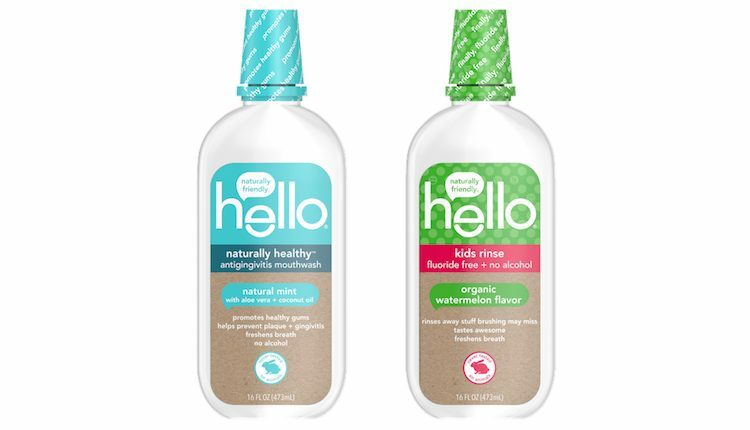 The Hello Mouthwashes come in mint (for adults) and watermelon (for kids) flavors. 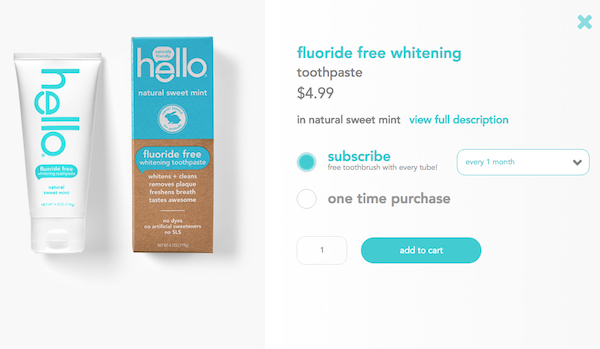 MONTCLAIR, N.J. — Hello Products is launching a subscription service that will enable consumer to stay supplied with its “naturally friendly” oral care products. Dubbed the Replenishmint Subscription Service, the offering is slated to debut on Feb. 21. To use the service, consumers visit a dedicated website, select their product and choose “subscribe.” Next, they pick their delivery frequency — or Enrollmint — by selecting from 30-, 60- and 90-day options. Subscriptions can be activated, adjusted and stopped from any smartphone, tablet or computer. Users receive a BPA-free toothbrush with charcoal bristles at no charge with each tube purchased and delivered via subscription. “Hello is a constant-improvement company. We’re dedicated to expanding and innovating everything having to do with oral care, from our formulations that stand out for their innovative ingredients, efficacy and sustainability to services like subscriptions that deliver value and true health benefits,” commented Craig Dubitsky, founder of Hello Products. A fresh brush with every new tube ensures that brushers are getting a value plus a health benefit, given that the American Dental Association recommends replacing a toothbrush every 90 days, Hello noted. Also this week, the company introduced the Hello Charcoal Toothbrush and Hello Mouthwashes. The Charcoal Toothbrush features soft, precision-tapered bristles made with charcoal from bamboo, a natural odor-absorber and detoxifier, according to Hello. In addition, the brush sports a comfortable handle made from 70% plant-based materials as well as a design that helps users access hard-to-reach areas of the mouth. 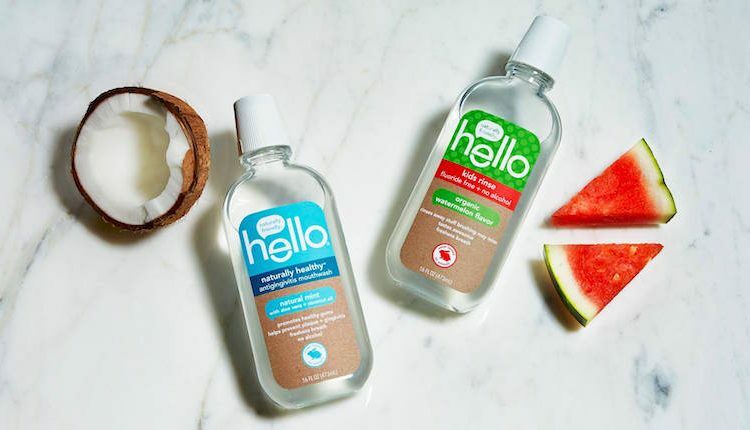 Meanwhile, the new Hello Mouthwashes include an alcohol-free antigingivitis mouthwash for adults and a fluoride-free, organic watermelon rinse for children. The antigingivitis mouthwash is formulated with aloe vera to promote healthy gums, coconut oil to moisturize, mint to freshen breath and xylitol. The kids rinse catches stuff that brushing may miss and is safe if swallowed and infused with an organic watermelon flavor, soothing aloe vera and xylitol. Both mouthwashes are vegan, gluten-free and cruelty-free and contain no alcohol, dyes and artificial sweeteners or flavors, the company said. The Charcoal Toothbrush, priced at $3.99, is slated to become available for pre-order starting Feb. 21 via the Hello website. The Hello Mouthwashes, priced at $5.99 for a 16-oz. bottle, will also become available through the site on Feb. 21 and are due out at leading retailers and Amazon.com in March.